Dr Conrad Murray's eyes filled with tears as witness Ruby Mosley recalled him founding a clinic in a poor community in Texas in honour of his father. Ms Mosley was the last of five character witnesses that Murray's lawyers called during the doctor's involuntary manslaughter trial in Los Angeles. He has pleaded not guilty. The trial is expected to resume on Thursday with Murray's final witnesses - a pair of medical experts meant to respond to prosecution experts who said Murray acted recklessly by giving the King of Pop the anaesthetic propofol as a sleep aid. 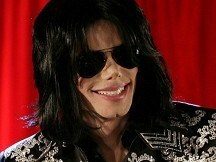 Authorities contend that Murray gave Jackson a fatal dose of propofol in the singer's bedroom on June 25 2009. Defence lawyers claim the star gave himself the fatal dose. Witness Gerry Causey said Murray treated him for a heart attack 11 years ago and remains his best friend. "I know his love, his compassion, his feelings for his patients," Mr Causey said. "He's the best doctor I've ever been to." Murray agreed to become Jackson's personal doctor for 150,000 US dollars (£93,775) a month but was never paid because the singer died before the contract was signed. Prosecutors have contended that Murray was heavily in debt and initially sought 5 million dollars (£3.1 million) to treat Jackson as he prepared for a series of lucrative comeback concerts. The flurry of witnesses came as defence lawyers wind down their case. They have already called a doctor and nurse practitioner who treated Jackson but refused his requests to help him obtain either an intravenous sleep aid or propofol.